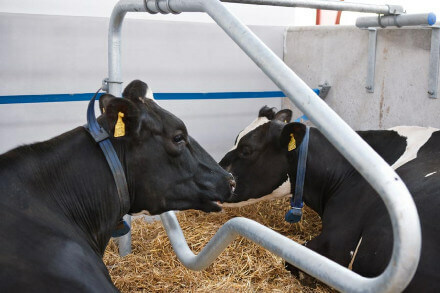 In recent years, dairy farmers have accurately established the relation between the comfort and productivity of cows. Poorly designed housing units can negatively influence your cow’s health. It can also cause various types of injuries, which we are sure no farmer wants to witness. This is why Kapoor Oil Mills has come up with robust and intelligently designed steel cubicles. We are also considered one of the renowned Cow Steel Cubicles Manufacturers In India. When it comes to cow cubicles, you can’t buy them from just anyone because lots of research goes into a good design and we do that research comprehensively. Intelligent Design - These stalls have been designed after considering all aspects thoroughly. So, you won’t notice any discomfort in the movement of cows. Smooth Finish - Smooth and flawless finish is essential to ensure that cows don’t get injured while staying inside the cubicle. Safety - Once you house your cows in these stalls, you breathe a sigh of relief as they are safe inside them. Cow Steel Cubicles is a place where cattle is nourished. It consists of reinforced steel frame, rubber mats, fiber sheds / shelter and other required material. These all parts ensures highly hygienic and friendly environment for cows, bulls and buffaloes. This kind of Cow Steel Stalls is designed and fabricated as per clients detail / specifications at market leading prices. Our company has carved a niche for itself among the most illustrious Cow Steel Cubicles Exporters and Suppliers In India. Place your order right now.